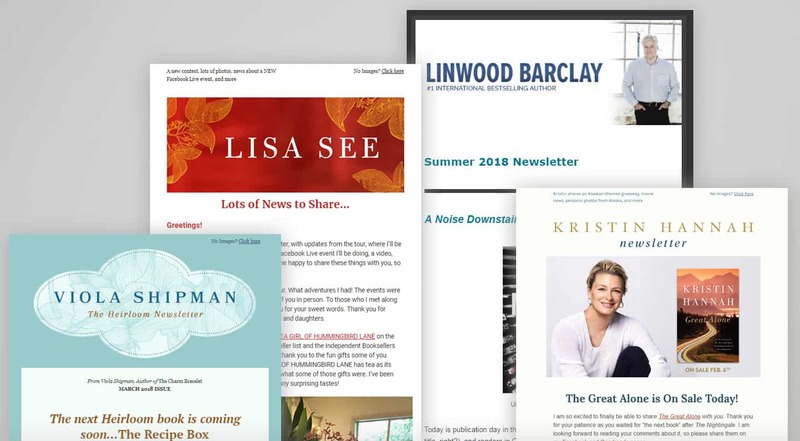 Customized newsletters connect you directly to readers. With 20 years of experience, we can help you develop messaging and newsletter design to bolster and sustain your readership. Newsletters give you the opportunity to reach out one-on-one to your readers with messaging about you and your work. It’s a chance to expand your brand beyond the confines of social media. Begin collecting emails now, so that when you’re ready to send your first newsletter you have a list ready to send to. We’ll create an account that will store your emails, set up sign-up forms and confirmation emails, design them to match your brand, and add them to your website. Design a mobile-friendly newsletter template that matches your brand. This includes the header, social media buttons, colors, style and setting up footer information like an unsubscribe link. Included in this is your first newsletter, which we’ll build, review content, copy edit, and send. Have us build your newsletters. Includes content review and copy editing. If you’re building your own newsletter but would like a seasoned opinion on voice, topics, and copy review, we’re here to help. We’ll give you specific strategies to increase your subscriber base without silly tricks.